It’s a free competition based on your activity on ETS2 and ATS, single player and multiplayer, tracked using VTLog job logger. Using VTLog api, Trucky can calculate precisely how many kilometers you drive, how many kilograms you ship and other fancy KPI to create leaderboards. To apply to the Trucky Championship you must be a VTLog user and install Logit, the VTLog job logger, properly configured for your profile. If you haven’t a VTLog profile, don’t worry, register on VTLog.net, it’s easy and quickly. Applying to Trucky Championship using the Trucky Mobile app or Trucky Web, you are giving the permission to Trucky to track your deliveries in VTLog. Leaderboards is divided in two sections: Users and Companies. They are divided in Monthly, Yearly and All Time leaderboards, for single and multiplayer, ETS2 and ATS. Users leaderboard is personal, Companies leaderboard instead is done summing all single user leaderboard that belong to a certain company. 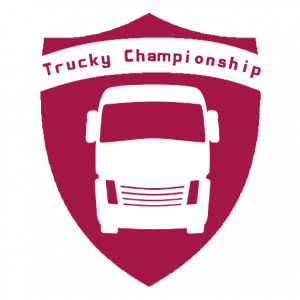 So, if you have a Company on VTLog, to have major success in Trucky Championship, instruct your truckers to apply in. Odometer and Cargo Mass have a relative weight in point calculation, is more important how you arrived at destination, considering your fuel economy more important than the long trip or big cargo you delivered. Only valid VTLog jobs is considered for points calculation.